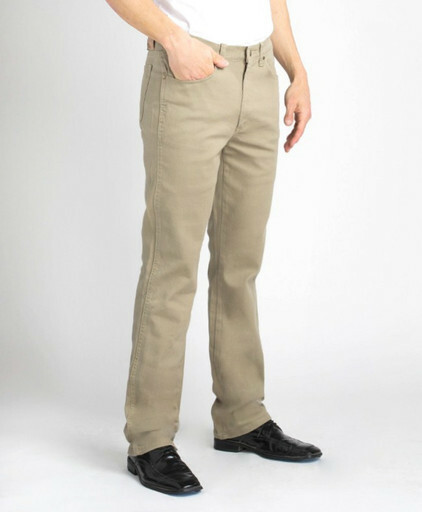 191 Khaki Stretch Jean - Khaki - Workwear Deals - GRAND RIVER Khaki Stretch Jean, # 191, 5 Pocket Stretch Jean, 98% Premium Cotton Twill and 2% Spandex Comfort Stretch Fabric, Big & Tall, GRAND RIVER Stretch Jeans, formerly RIVER ROAD Stretch Jeans. The Khaki Stretch Jean is Durable, Comfortable and features a Traditional Jean Cut and Fit with 5-Pockets. Made from 98% Premium Cotton Twill and 2% Spandex, this Grand River Jean also features extra big and deep pockets for maximum usability.